You’ve developed a campaign that encourages visitors to click on your PPC ad or open your email. Don’t lose them now, before they convert. Send visitors to a landing page designed especially for your campaign. What Is a Campaign Landing Page? Campaign landing pages are the place visitors end up after clicking on your PPC ad or a link in your email campaign. A campaign landing page is a microsite or custom environment that is carefully designed for those who respond to your campaign. Landing pages are highly focused. The design, images and messaging are all aimed at one thing: persuading the user to convert. Landing pages limit the users’ options. They can fill out a form, call the phone number or hit the back button. In contrast, a webpage presents multiple messages and options. Users can quickly become distracted and navigate away. 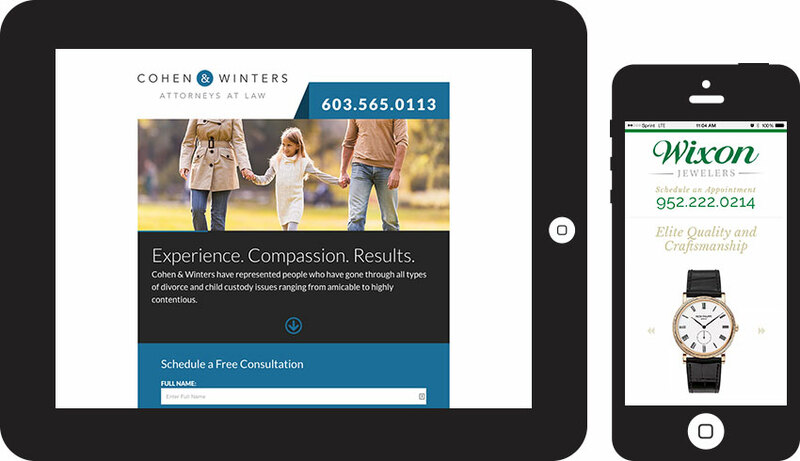 Landing pages are 100 percent trackable. We track every click, call and form submission generated by a landing page so you can clearly see your results. Landing pages can be tested and tuned. Using A/B testing, we compare one page to another to determine which design approach works best. Multivariate testing (MVT) compares the many different elements within a single page – images, headers, calls-to-action – to determine the most effective combination. Landing pages get results. Landing pages make financial sense because they boost your conversion rate and generate more leads. ThinkSEM is respected in the digital marketing field for its success in developing campaign landing pages that increase conversions and overall perform brilliantly. To learn more about how landing pages can improve your digital marketing ROI, please call ThinkSEM at 651.200.3831 or contact us by email. From offices in the Minneapolis-St. Paul area, ThinkSEM creates highly effective campaign landing pages for clients throughout Minnesota and across the nation.